How to Make Your Emailing List Ready for GDPR? The dawn of GDPR fast approaching, in fact there are less than 2 months until 25 May 2018. Have you ever been thinking to torch your entire mailing list like Wetherspoons? A key point is that, prior to the 25 May 2018 deadline, your efforts to get GDPR compliant are not governed by the incoming regulation. You still need to play by the existing PECR rules, yet options currently available to you when it comes to things like re-permission are still on the table until that point. Does that mean it’s time to roll out a huge Mailchimp campaign asking your audience to opt back in right now? Once you pull the trigger on that big campaign, the die is cast. You’ll get a binary yes/no from everyone on your list and if they say ‘no,’ that’ll be it. Better results can be obtained by following a softer approach in the working phase until the deadline. Use content that has become an opportunity to show the value of your subscriptions to your subscribers. In addition to the content on your landing pages, you also can reconfirm they want to continue to hear from you. If you make a strong enough case, you might be surprised how many people still want to hear from you without the hard sell. Are you Compliant? Record your consent. Under GDPR, you need to be able to prove that your data is compliant. Unless you’ve been unusually strict with how you collect data, it’s unlikely that your existing lists are going to be fully compliant. 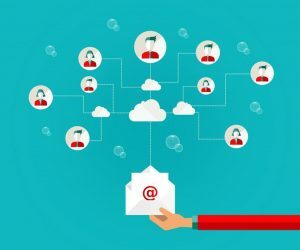 If you’ve simply been adding email addresses to one big master list, you’ll have a hard time demonstrating where you got that data, when, and how you asked for it. Be prepared for the size of your lists to drop. If the thought of losing squillions of people from your list is giving you a drowning feeling, don’t worry. Don’t forget, everyone in your industry is in the same situation as you, and a small list of people who choose to interact with you means more opens, clicks, and conversions. Let’s say it straight, Re-Permission Campaign doesn’t mean that you are going to send out a begging letter, and it would be amateur. Better would be to direct your audience to a permission-oriented landing page. The best would be to finely weave the re permissioning into all the emails for a while, but the goal is simple in any approach. Convert your existing database to a new, compatible format as much as possible. This starts with gathering all your existing data from various spreadsheets, email marketing platforms, paper lists, wherever you hold details, and adding them all to CRM. If you are lucky, at this point, you can at least define the origins of some of these data. Labelling with a point of origin facilitates subsequent steps, but this may not be possible. Depending on which platform you are using, you may be able to set up all the data capture tool you need to prove your compliance. Questions, context and timestamp are the minimum requirements. Some platforms already be able to do it, or will offer those features later, some of them may not. How you fine-tune your campaign will depend on your organisation, your audience, and the resources you can devote to testing. In general, however, there are some principles to bear in mind. The biggest change that companies will face is the way in which you speak to your audience about their data. You must identify the legal base in which you are processing the data, and you must disclose the rights of the data about how the data are to be used. Of course, even the best prepared data security plans are not immune to problems. Violations can and will occur after GDPR, particularly for organizations that process large amounts of sensitive (and valuable) data. Although you are responsible for a mailing list for a book club, you need to plan to have a proactive response to a breach. 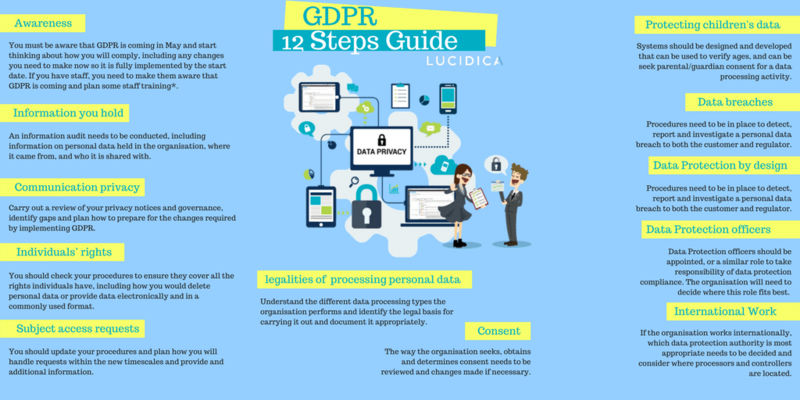 Depending on the type and the amount of data that you have, GDPR may require you to report to the ICO, as well as those whose data has been compromised. Still Not Very Satisfied? Let US Help You! Current Web & Marketing Associate at Lucidica. Loves blogging, technology, building websites & discovering new marketing techniques.